How Dangerous Is Airplane Turbulence? It’s scary. It’s uncomfortable. It spills your tomato juice. It’s turbulence—but how dangerous is it, actually? I have a very personal interest in this question, having been semi-traumatized on a terrifying flight whose tumbling felt like that of a rag doll in a clothes dryer cranked to turbo. I’ve flown since I was in diapers, many, many times, with zero bouts of aerophobia. Until that white-knuckled trans-Pacific odyssey from Tokyo to Minneapolis a few years ago, whose sounds of passenger sobs and shattering glass left me now dreading even the slightest aerial jolt. We took off under partly cloudy conditions in the afternoon in Japan. Around 45 minutes into the 14-hour journey, the sky went slate gray and the plane started lurching and shaking. The American flight attendant, in no attempt to hide panic from his voice, shouts over the intercom for us to buckle up and “hold on!” Then he doesn’t wait for the onboard Japanese and Chinese attendants to translate. He tries to translate himself. I mentioned the shattering glass, right? Yeah. ‘Twas bad. So, the “extreme turbulence” news stories that have surfaced in the past couple years—like the United flight from Denver to Billings that injured five, including one flight attendant that was admitted to the ICU; or the American Airlines flight from Seoul to Dallas that left 14 hurt and prompted a diverted landing to Tokyo—definitely triggered some flashbacks. Just last week, a China-to-Canada jet ran into a ride so wild that it sent 21 passengers to the hospital—fortunately, none of the injuries were life-threatening. Scary, but just how common are such incidents? Should you freak out every time the plane jostles? Do angry skies spell a trip to the ER when you land? I talked to a couple of experts to break down just how real threats from turbulence are. Or more accurately, aren’t. Does Turbulence Mean the Plane’s Going to Crash? Nope. And, okay—I already know you’re rolling your eyes at this. Flying’s the safest way to travel, duh. Thing is, that’s an easy thing to keep in mind when you’re on terra firma. Things can feel a little less reasonable once Mother Nature’s manhandling you tens of thousands of feet in the air in a pressurized metal tube. Despite what it may feel like, severe turbulence is not going to rock your plane out of the sky. “Even in extremely rough air, the wing is not going to break off and the plane is not going to flip upside-down,” explains pilot Patrick Smith, who runs AskThePilot.com and is the author of Cockpit Confidential. Can turbulence damage the aircraft? Yeah, but it’s very rare. Indeed, one of the oft-cited cases was way back in 1966, when extreme turbulence tore apart a Boeing 707 near Mt. Fuji in Japan, in which the pilot supposedly flew closer to the mountain for a better view. Winds hit 140 miles per hour, tragically killing all aboard. But we’ve made serious engineering strides since then. Plane bodies have been made more resilient. Modern jet wings can flex up to 90 degrees in tests, so they can handle strong gusts in the real world. United’s 787 Dreamliner, for example, is fitted with sensors that better predict invisible rough air. And while extreme weather can certainly be hazardous, modern-day turbulence-related accidents are usually combined with other factors, like pilot error or a malfunction. A more likely event? Turbulence so nuts if forces the pilots to divert from the flight path and land early. But Smith calls even that “highly unusual.” And when it does happen, it doesn’t necessarily mean the conditions are so brutal the plane is at risk of falling out of the sky. It means that the crew wants to get any potentially injured passengers medical care faster. How Often Do People Get Hurt During Turbulence? That is: A passenger who dies within 30 days of an accident, or any hospitalization lasting more than 48 hours. Also, hefty injuries, including: bone fractures, severe hemorrhages, severe nerve or muscle damage, second or third-degree burns covering more than five percent of the body, and damage to any internal organ. So, many “minor” injuries go unreported, like “a hospitalization of one day due to an injury,” Sharman says. Which means the government numbers could be lower than the real stats. The Federal Aviation Administration reports that in 2013, 24 passengers were hurt during turbulence in the US, 13 of whom were flight crew. Folks who get injured during fierce choppiness usually aren’t buckled in—that’s why two-thirds of injuries are flight attendants. Cumulonimbus clouds often mean storms and rough turbulence, so pilots steer clear. What’s Going Through Pilots’ Minds? Two things: Keep passengers comfortable, and more importantly, keep them safe. First of all, different planes’ pilots talk to each other in the sky inflight, in real-time. They give each other heads up. If someone just flew into some bumpiness, they let the next pilots know. And they’re talking to folks on the ground, too. To avoid turbulence, pilots can change their routes on the fly. But that requires extra fuel and time, so sometimes, pilots who’re noodling a turbulence strategy make the call to just push through. The really tricky situation is what’s called “clear air turbulence.” That’s when sudden, unpredictable turbulence strikes, even in beautiful weather and a spotless radar. It’s what causes a lot of turbulence-related injuries. Pilots don’t know it’s coming. Mountains often contribute to clear air turbulence, Sharman says. Severe clear air turbulence is what rocked the Billings-bound United 1676 in 2014, according to the National Transportation Security Board. An extremely rough descent left five injured. A passenger who wasn’t wearing a seat belt rocketed out of their seat and hit their head, cracking the paneling above. Another flier’s infant actually flew into the air and landed in a nearby seat. Meanwhile, in another much-reported incident in 2014, an American Airlines flight from Seoul to Dallas made an unplanned landing in Tokyo to hurry over a dozen passengers to a hospital, who were hurt during extreme turbulence in a winter storm that sent drinks and food carts flying through the cabin. Again, these incidences are rare, but YouTube viewers and news outlets love to run that smartphone-filmed raw footage that gets tweeted to the masses. Blame the internet. But don’t let it ruffle your feathers. I know it’s one thing to just be like, “No.” (It’s what my friends tell me all the time.) But if that’s not comforting enough, know the numbers are in your favor. Personally, I feed off play-by-play updates from the crew, so I start to freak if the pilots don’t say anything while we’re rollercoastering at 40,000 feet, with people starting to pray and significant others holding hands. 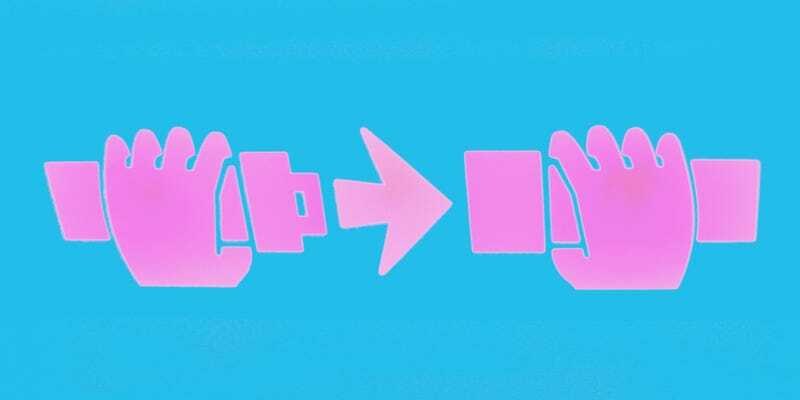 That’s the ticket to avoiding any turbulence-related injury: Always wear your seat belt, even when that little glowing sign isn’t illuminated. Otherwise, turbulence actually could be dangerous. Especially that surprise, clear air variety that may not prompt warnings. Don’t unbuckle right after takeoff. Don’t make initial-descent toilet runs. Buckling up is the best way to stay safe in the air. Aside from that, just breathe and remember: Turbulence is normal. The plane will be fine. You will be, too. This story originally ran on July 1, 2015, and has been updated to include more recent examples of turbulence.